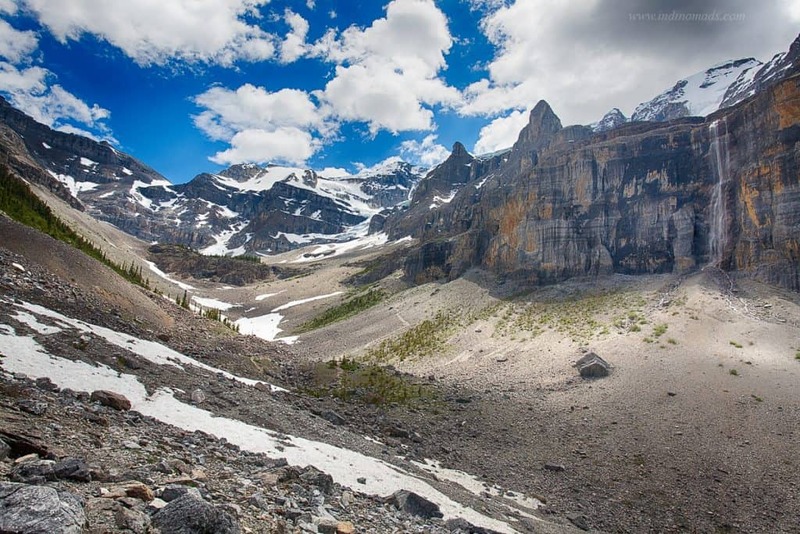 Just off of Banff National park are Kootenay National park and Yoho National Park. People tend to skip these national parks often. 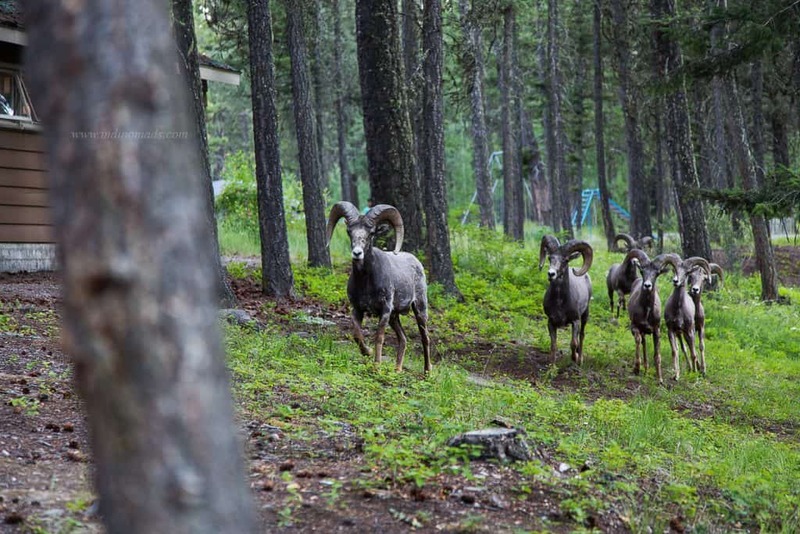 Especially Kootenay, because there are no drive-to view points on this park. You have to pretty much hike to see anything here. Since we had only given ourselves one full day for this park, we chose to do Stanley Glacier hike, which is a 8KM round trip. Took a good 4 hours in the heat. 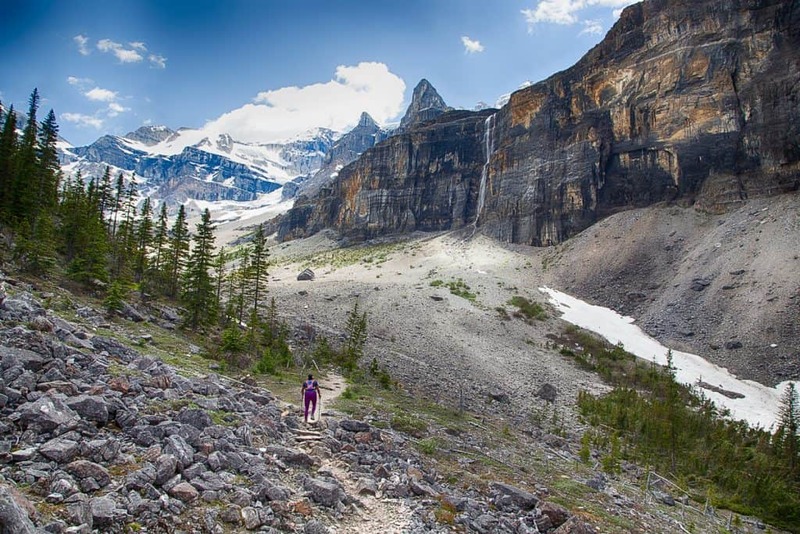 This hike is also listed as a part of Castle Junction area in the Banff National Park. 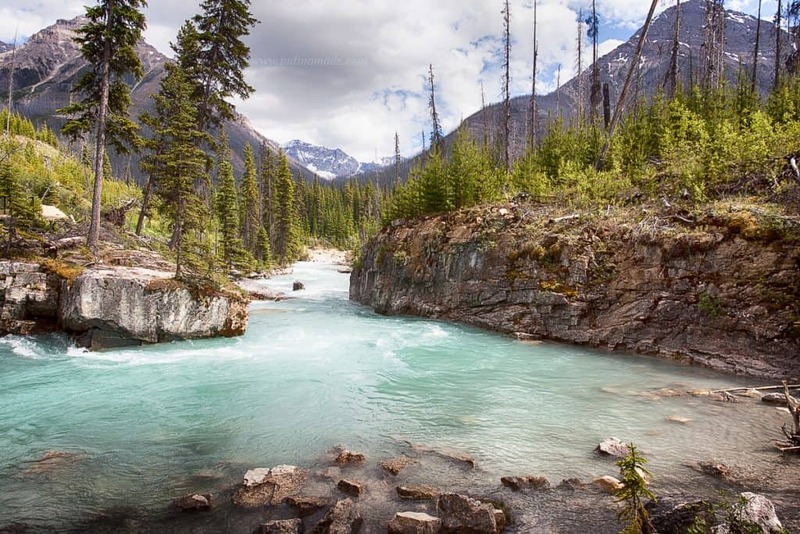 After this hike, we stopped at Marble canyon (2 KM roundtrip). 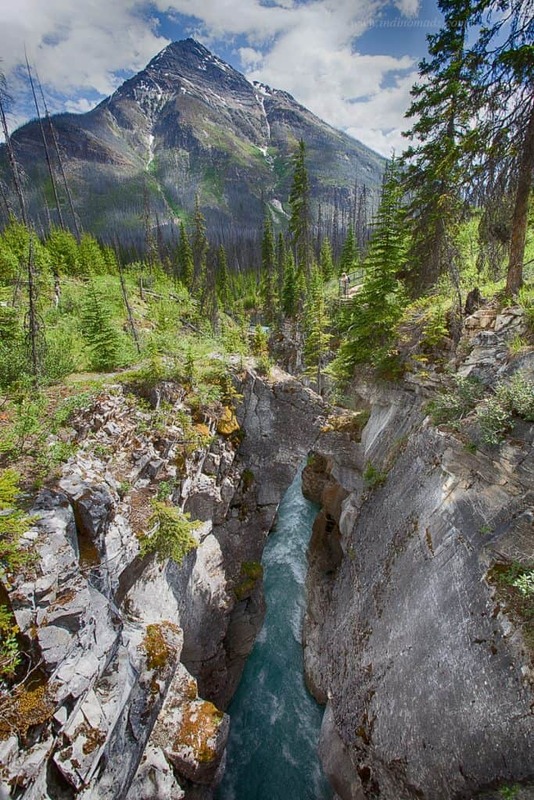 Well worth visiting this beautiful canyon, irrespective of the crowd. Rest of the day, we just drove down to Radium Hot Springs area. There was not really much to stop for along the way. Another highlight of the park is the number of backpacking options. We stayed at Redstreak Campground that night. The park has 4 campgrounds and only Redstreak is reservable online. There is a visitor center near the campground to get more information. Mostly they promote the hotsprings in the area. There is Wifi at the visitor center. The town has a few grocery stores and restaurants.